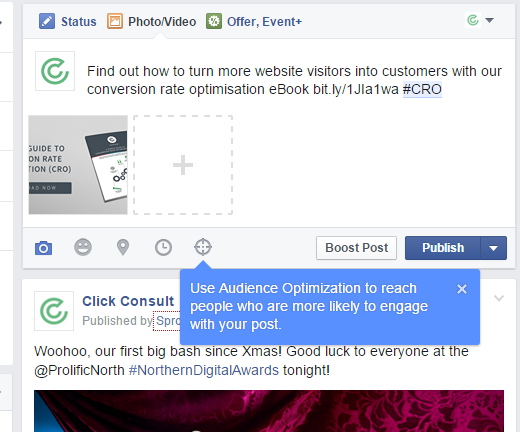 The feature allows you to select a number of categories based on audience interests for each message that you post. The idea is that by specifically targeting each post, it will show up in a wider number of relevant newsfeeds. However, as the tool is so new, there are no reports or stats of how effective it is yet. It’s also unclear whether your posts will be presented to users who have not yet ‘Liked’ your page. Clicking on the ‘+’ symbol alongside each heading will show you the number of users who have expressed an interest in that category. For example, apparently 1,074,032,680 Facebook users are interested in ‘Business and industry’ – although it’s not clear exactly how these figures have been calculated. 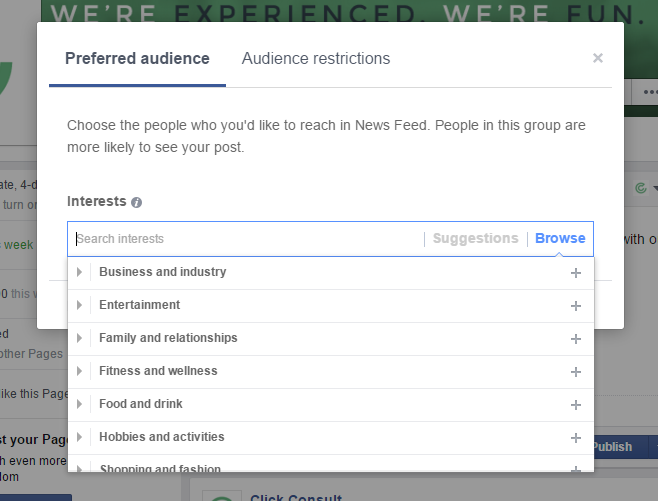 Once you’ve chosen your first category Facebook will also serve up some suggestions, but you are free to continue selecting or searching for more categories, up to a maximum if 16. Then you post as usual. Easy peasy. 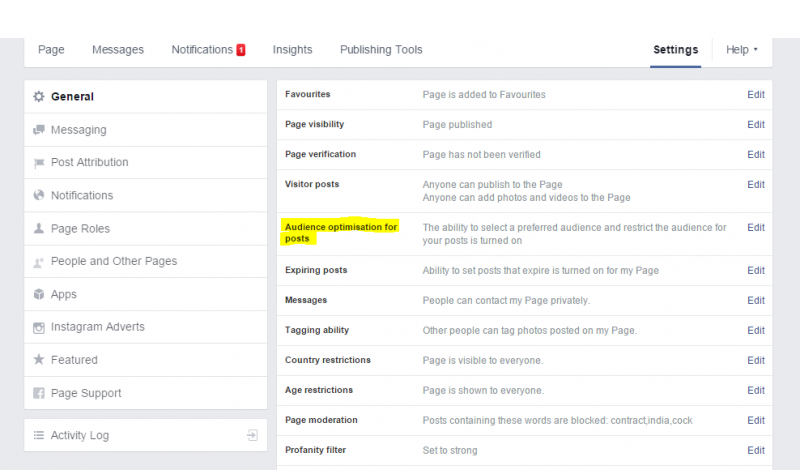 Describing some of the current restrictions of the tool, ClickZ‘s Matt Owen says: “The feature is not yet available inside Facebook Business Manager, or for posts that are created using the Power Editor. I’m going to assume that there are two reasons for this. Firstly, posts created in Power Editor have CTAs built in, and are generally designed to drive traffic directly to a site. In further news, Facebook has been encouraging page admins to add one of its new CTA buttons, which allow a page’s fans to book tickets, call a business, contact a business, send a message, use an app, shop, sign up, or watch a video. If you’re using either of these new tools, we’d be really interested to hear what impact they’re had on your Facebook reach and/or engagement levels – please let us know in the comments box below.